We looked at the top 1 Epilators and dug through the reviews from 2 of the most popular review sites including Beautishe, Epilator Girl and more. Through this analysis, we've determined the best Epilator you should buy. In our analysis of 39 expert reviews, the Philips Philips Satinelle Essential Hair Removal Epilator placed 8th when we looked at the top 10 products in the category. For the full ranking, see below. The 21 tweezers are plenty enough for getting hair removed from the root and they’re not too many to cause a great deal of pain. The protective cap is useless. What’s really a disadvantage is the lack of a built-in light. That little light is a helpful aid in spotting hairs you would otherwise miss entirely. REMOVE HAIR FROM THE ROOTEFFICIENCY CAP FOR MORE EFFICIENT HAIR REMOVALGENTLE EPILATION OR FASTER PERFORMANCE SPEEDSPROFILED ERGONOMIC GRIPWASHABLE EPILATION HEADUPC : 075020021762Shipping Dimensions : 2.40in X 7.10in X 8.00inEstimated Shipping Weight : 0.8212. 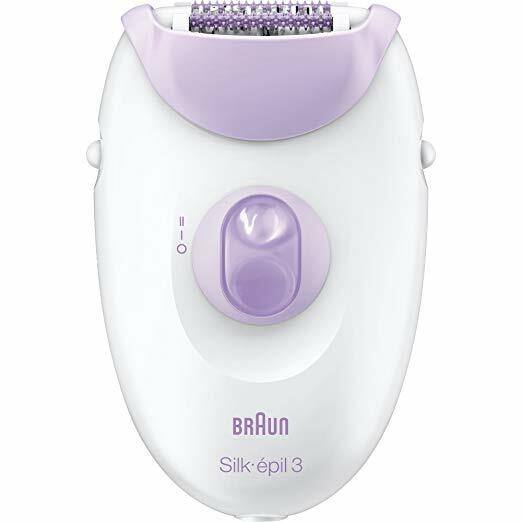 Do not use the epilator if you suffer from varicose veins, rashes, spots or blemishes, or when the skin is irritated or if you have in-grown hairs or a tendency to produce in-grown hairs. Consult your doctor first.